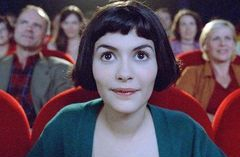 Newport International Film Series ---> Indie, Art, Documentaries, International film. Click here to for ARTS on the coast! Our rental fee got doubled and we would lose money if we exhibited anything. Unless the powers that be and I can come to an agreement of terms this series will be discontinued. IN THE MEANTIME-COME TO THE BIJOU!! Justin Gleason, Catherine Rickbone. Jan and Mike Eastman, Randy Storms, Bonnie Prater, Chuck Hill, Keith Altomare, Nairne, Stephan, Yaquina Bay Broadcasting, Zach, Rodd, Vo and Patti and other volunteers.